Windows restore is a necessary action when you need a system recovery after some crash, or just for migrating to new hardware. The System Restore Windows 7 or later versions utility can help with this action, although such software as Handy Backup can restore Win7 (or other) more quickly and reliably. 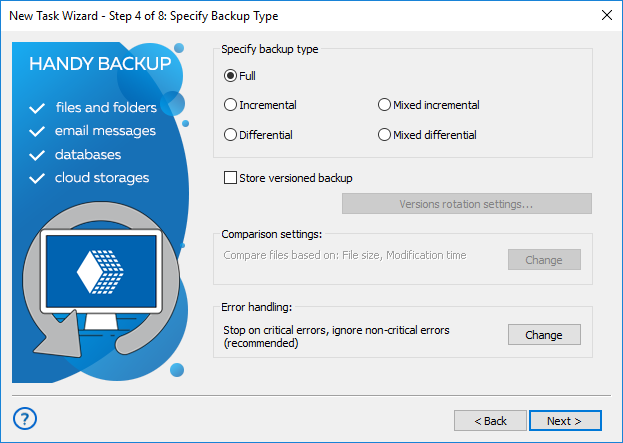 To restore Windows to a new hard drive or partition, you will need either the Handy Backup Disaster Recovery (HBDR) utility or just a copy of Handy Backup, if your new hard drive is not a primary system drive. In latter case, you may create an automatic drive recovery task directly in Handy Backup. Note: Please see an instructional video about using the HBDR utility to back up and then restore Windows 8 (8/1), 10 or 7. The HBDR utility is freely available for users of Handy Backup Professional, Small Server and Server Network editions. The single-machine Professional solution for experts and workstations contains all functions and plug-ins necessary to restore Windows 8.1, 8, 7, Vista or Windows 10 edition! Scheduling backup and restoration to a specific time or to some system event. Making an automatic backup before Windows restore, to avoid accidental data overwrite. Partial backup and restoration of separate datasets, for reducing action time and used space. Running other programs before/after a Windows restore task, to make all necessary actions. Extra possibilities such as "silent" operations as Windows service or notifying a user by email. 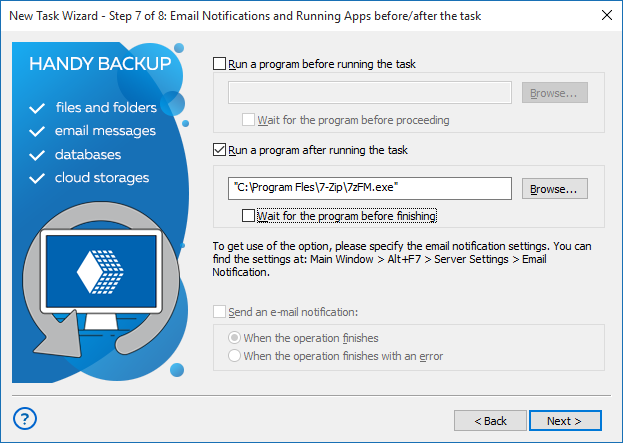 These and other features, in joint with mighty backup capabilities of Handy Backup, allow realizing any possible Windows restore operation for users of any level, including system and network administrators. Handy Backup can also restore Windows Server images and data, and it does it just as simply and reliably as for desktop editions. You can freely use HBDR to manually restore Windows server images on bare metal, or made recovery tasks for remote computers from the Management Panel. 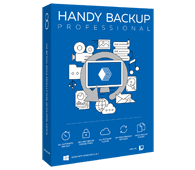 Use Handy Backup to restore Windows 10, 8, 7 and server editions, fully or partially, and you will feel security about your PC or laptop system! Try the might of Handy Backup by downloading a latest version at a 30-day free trial period!